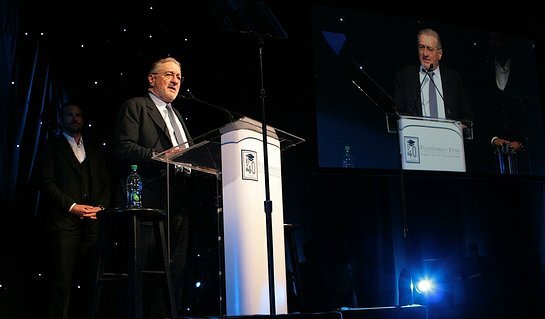 A Legacy of Changing Lives, presented by the Fulfillment Fund honored the legacy of founders Cherna and Dr. Gary Gitnick with a star-studded gala that raised nearly 1.3 million dollars on Tuesday, March 13 at the Ray Dolby Ballroom at Hollywood & Highland. 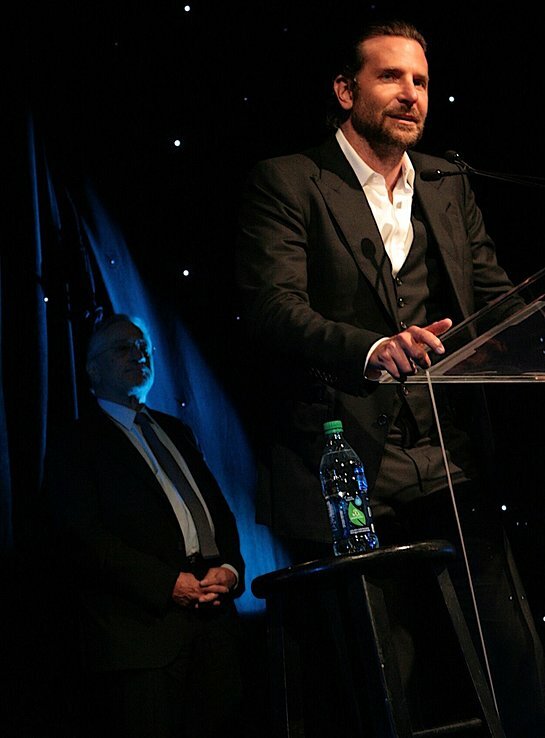 Special guest presenters Bradley Cooper and Robert De Niro, and hosts Teri Polo and Sherri Saum (“The Fosters”) joined the festivities to celebrate the Gitnicks’ 40 years of service on behalf of the students of Los Angeles. A Legacy of Changing Lives also included a special appearance by Joshua Rush (Disney’s “Andi Mack”) and performances by Grammy Award-winning composer Charles Fox, actress and singer Rita Wilson and singer/songwriter Stephen Bishop. The gala dinner was catered by celebrity chef and famed restauranteur Wolfgang Puck. Among the celebrities who came out to celebrate the Gitnicks and the Fulfillment Fund’s 40th anniversary were: Ashley Argota (“Liberty Crossing”), Lilan Bowden (“Andi Mack”), Cameron Boyce (“Descendants”), Jenna Boyd (Netflix’s “Atypical”), Christine Devine, Meg Donnelly (Disney’s “Zombies”), Daisy Fuentes, Erica Gimpel, Louis Gossett Jr., Nadia Gray (Netflix’s “Bright”), Ronni Hawk (Netflix’s “On My Block”), David Hull (“Crazy Ex-Girlfriend”), Carla Jeffery (Disney’s “Zombies”), Phillip Keene (“Major Crimes”), Mouzam Makkar (NBC’s “Champions”), Richard Marx, Emilia McCarthy (Disney’s “Zombies”), Kerri Medders (“Seal Team”), Rory O’Malley (“Hamilton”), Lou Diamond Phillips, Sidney Poitier, Anika Noni Rose (“The Quad”), Gabrielle Ruiz (“Crazy Ex-Girlfriend”), Ignacio Serricchio (Netflix’s “Lost In Space”), Nikki SooHoo (“Heathers”), Darby Stanchfield (“Scandal”), Raven Symone (“Raven’s Home”), Diego Tinoco (Netflix’s “On My Block”) and Trevor Tordjman (Disney’s “Zombies”). 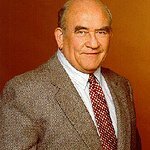 The celebration was supported by notable dinner co-chairs who included The Honorable Frank and Kathy Baxter, Edyth and Eli Broad, Susan A. Buffet, Megan and Peter Chernin, Bradley Cooper, Jan and David Crosby, Robert De Niro, Stedman Graham, Frann and Jim Gray, Hawkins Mikita, Kate Hudson, Amy Pascal, Gelila and Wolfgang Puck, Rich Ross, Anne M. Sweeney, Tie the Knot’s Jesse Tyler Ferguson and Justin Mikita, and Sally Whitehill and Mark Gordon.